For the second of our series of interviews with leading industry professionals we’re speaking to someone who offers something a little extra to everyone who records with him. The clear demarkation between tape op, engineer and producer has been blurred considerably over the years. 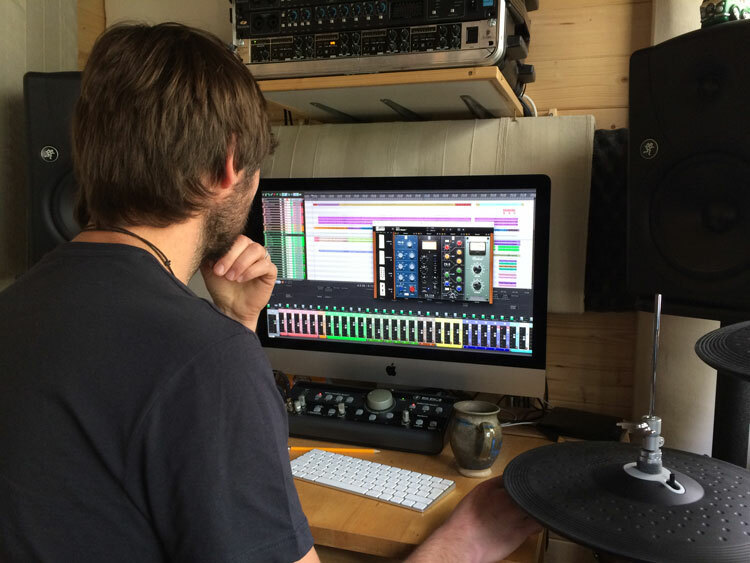 Whereas some old studio hands might roll their eyes at this blurring of the lines, there are a great many studio professionals who have made a name for themselves by offering much more than just a bit of knob twiddling. In our last interview we spoke to the great George Perks of The Crypt Studio. George told us how he became a ‘name’ producer at 24 years old. 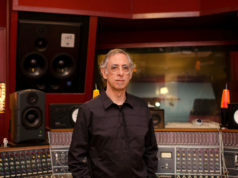 For this interview we had a chat with David Booth of The Recording Booth. 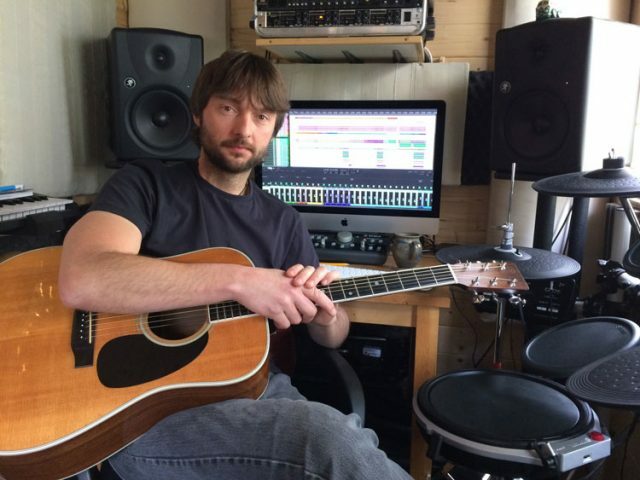 In addition to being a great engineer and producer David is also a very experienced songwriter. When we heard about how David uses his skills to help songwriters develop their ideas and achieve their goals we decided he was someone we very much wanted to speak to. Hello David! Please can you tell us a little bit about what inspired you to set up your own recording studio? Necessity and impatience! It just happened organically really. My first bank loan, at the age of 19, was for a 4-track recorder and a basic mic. At that point I’d been in a couple of studios to do demos with bands, and really didn’t enjoy it. 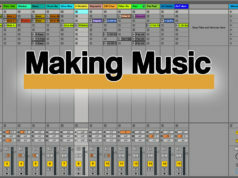 I started to think about recording myself, as I was writing songs, had lots of ideas, and didn’t like studios! From there it evolved, slowly, over the years. I got better microphones, better 4-tracks, borrowed a reel-to-reel multi-tracker and a desk at one point, then got a digital 16-track. Finally moved over to computers in about 2003 with the help of the drummer in my band (AloneMe) who was more technically-minded than me. We were still in and out of “proper” studios at various points, but as the years rolled by I took more notice of recording techniques and production ideas, and along with the band we invested more in our own studio, based in an old piggery at my in-laws’ farm. My studios since then have been a natural evolution from there. So if you started studios because you didn’t like other studios what did you decide to make different about your own studio, The Recording Booth? So many studios think just about sound and not about people. It doesn’t matter how well-controlled your recording or listening space is if you can’t get good performances out of the artists because they feel uncomfortable. I try to make my studio welcoming, relaxed, comfortable. I want everyone to feel ‘at home’. Put the kettle on. Open the door and listen to the blackbirds. I do think about the sound, but there are more ‘organic’ (I may use that word a lot) methods of getting a good sound than off-the-shelf, dark-grey acoustic foam! Ah yes, I think most of us have been in studios that are very proud of their banks of blinking lights but don’t have anywhere comfortable for musicians to even sit down! So let’s leave gear to one side for a moment, other than making a decent cup of tea and creating a relaxing atmosphere what else do you do to help the creative process? Number one priority – listen. Listen to the song. Listen to the ideas, hopes and if necessary, life story of the person who’s created the song. Listen carefully to whatever parts, instruments etc they’ve already got. Then, after all that listening, I’ll start to suggest ideas for production, tweaks to the song that might improve it, arrangements, tempos etc. I’ll always say to the artist up front that I’m not just an engineer pressing record. I will be throwing ideas in all along the process. I can’t help it! I’ve got a whole bunch of different instruments and play a lot of different things to a reasonable standard, so that helps. But I’ll also be happy to play nothing, if that’s what’s best for the song, and I’ll always give the final say to the artist. It’s their baby. So if a lot of studios exist to help artists get the most from their work in terms of production, would it be fair to say The Recording Booth also exists to help musicians develop their ideas? So if a songwriter has a partial idea for a song, but is struggling to realise it in a way they want, would you be able to help? Yes, that’s definitely part of what I do and something I feel very lucky to be able to offer. I started writing songs, both lyrics and musical arrangements when I was about 17. 26 years later I still haven’t stopped. I don’t get much time to do my own material any more, but I don’t mind as I’m being creative with other artists’ work every day. I guess most people come to me with finished or nearly finished songs, so I’m just providing the final glue, fairy dust or word here & there. But I’ve also helped writers through every stage from just having a basic lyric and melody idea, right through to finished tracks up on iTunes. That sounds great. What advice do you have for anyone who is stuck with a song they are trying to write? Are there any tricks of the songwriting trade that you can share? Everyone who writes songs for any length of time will have different ways out of a hole. I’m not great at working and working and working on a song. If it doesn’t grab me after perhaps two or three sessions of sitting with it and experimenting, I’ll move on. If it’s meant to be, it’ll come back when I’m in a different headspace and ready for that song. Quality control is important, but don’t think about that when inspiration strikes. Just go with the flow. Do the QC later. Know that you’ll write a bunch of rubbish songs during your life, but among them will hopefully be good ones. If one in four is a keeper, I’d be pretty happy with that! 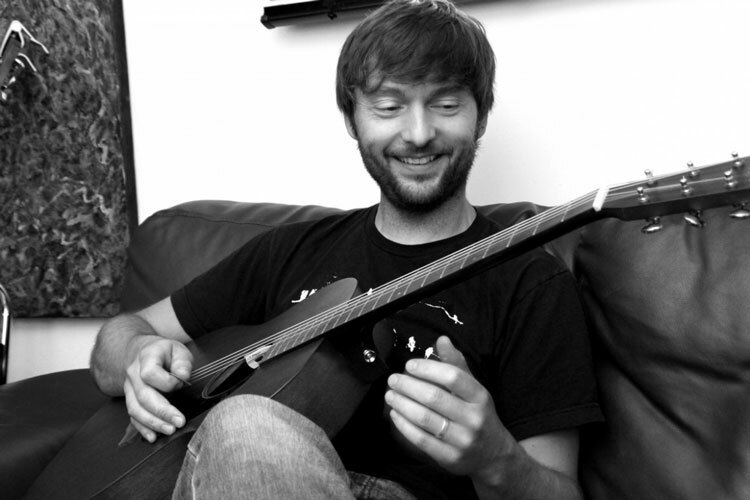 As for the dreaded writers block… if I’m struggling, I change instrument, or change the tuning of the guitar. Or forget about writing for a while and learn a cover version. Anything to keep moving. Good advice. There’s a theory that everyone has a good tune in them, regardless of whether they have and musical training. Would you agree with this? Are you able to help people who have never picked up an instrument but really want to find out if they’ve got what it takes to write a song? I think everyone has music and rhythm in them at birth, but perhaps it gets a bit buried in a lot of people by circumstances, life chances, distractions. Not everyone can hold a tune, but I think most people can feel a beat. I don’t know, I’m not an educationalist, but it’s nice to think music is in everyone. As for writing, yes, it’s helpful to be able to play some basic notes or chords, but it’s not absolutely essential to being able to write a song. I’ve been involved in projects where the main writer doesn’t play or even sing to a performing standard, but they’ve been able to come away with finished songs.